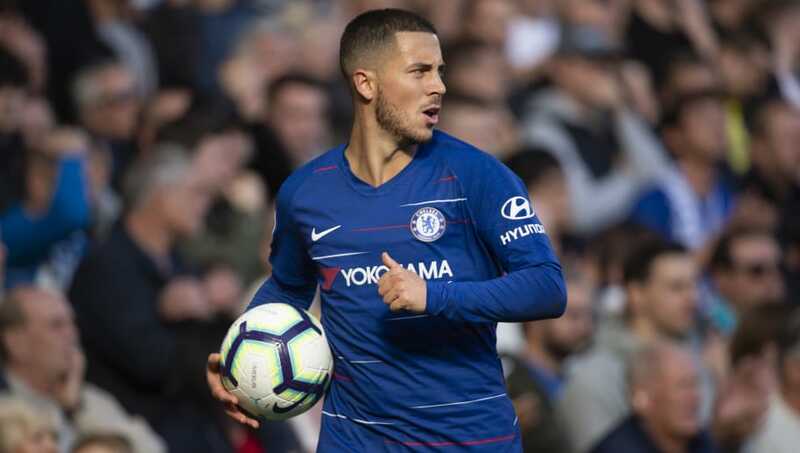 Eden Hazard is confident of being able to score 25 goals for Chelsea this season, but he's remaining level headed when it comes to a potential title race. The diminutive Belgian forward has enjoyed a stellar start to the 2018/19 season and has already managed to find the back of the net seven times in the Premier League. He is set to return to action against Crystal Palace on Sunday after missing out through injury last weekend, but he has insisted that winning is at the forefront of his mind rather than filling his boots. “I am not looking at the stats for goals or assists. I want to feel good when I am playing, and that’s it," ​Hazard said, as per ​The Mirror. "I just want to enjoy playing. If the goals are coming, great. But the most important thing is to win games. I can score but I am not a striker. I am more like a winger, where I can create a lot of chances as well. “Of course I can score 20 or 25 goals – maybe 40 is a bit too much, but I will try! When I have a chance to score, I try to make the right decision." With ​Chelsea still unbeaten all season under new manager Maurizio Sarri, whispers of a title challenge are now becoming even louder. However, Hazard is keeping his feet firmly on the ground. “We can play good football and that’s why we are winning games. We just want to keep this momentum going. “The truth is we have the same target every year, which is to win titles and win ­trophies. I think we can challenge ­Liverpool and City, these are the best teams in the country.